The immense demand for talent – and, specifically, for people with different skill sets than traditional pure finance backgrounds – coupled with a rapidly different generational profile of talent with different desires, are landing a one-two punch that is significantly disrupting alternative asset manager talent programs. Across the front, middle and back office, alternative asset managers recognize the need to be hiring individuals who have the ability to interact with the advanced technology solutions that are being used. Data scientists, engineers and programmers are just some of the nontraditional backgrounds that more frequently are supporting, working alongside and leading managers’ operations. As a result of the changing talent needs, attracting and retaining talent has never been more difficult – or more important – to a manager’s short- and long-term success. 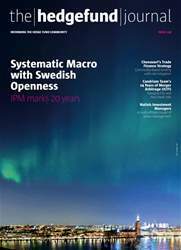 Alternative fund managers are keenly focused on talent management as they attempt to respond to and gain a competitive edge as a result of changing business dynamics. Technology advancements, product development expansion, and the realization that different and diverse points of view will drive better investment decisions are just some of the reasons for this massive pivot about how managers think about their people. This trend is playing itself out in both the front and back office, where nearly half of managers reported that they have changed the profile of talent they are looking to hire relative to 5 to 10 years ago. Whereas in the past there was a heavy bias, almost a prerequisite, toward hiring individuals with a finance background out of specific universities or with comparable asset management experience, the current landscape has managers scouring many more pipelines for talent. Technology and data have become some of the most in-demand, and hardest-to-attract, skill sets on the street. As they evolve their workforce, hedge fund and private equity managers have slightly different priorities. 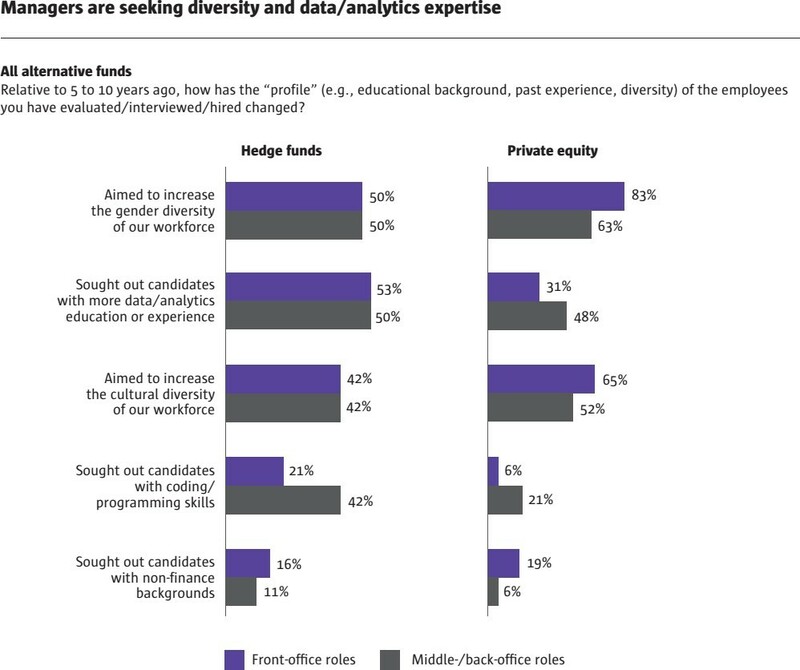 Hedge funds, where data and analytics are more heavily utilized as part of the trading process, are seeking out candidates with data analytics experience, as well as those with coding or programming skills. This is also true in the middle and back office where robotics and automation are yielding material gains in efficiency and people are increasingly less responsible for performing routine tasks but, rather, need to be able to program and interact with the technology performing these functions.